Built in 1293, in order to secure the south-western gateway to the district of Stampace, it is the eldest medieval tower in town. 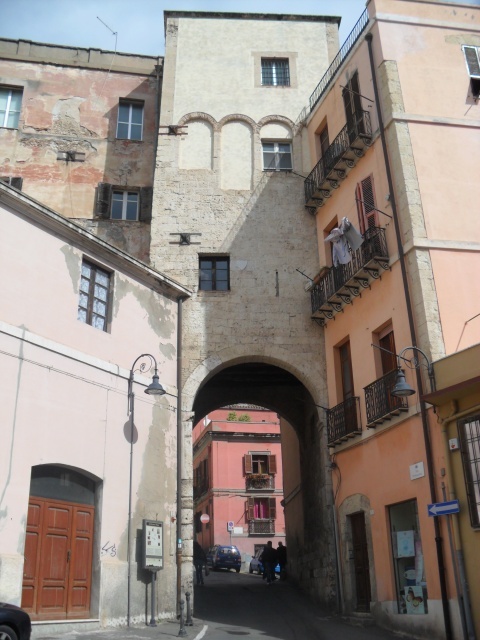 The only fortified entrance remained in Stampace district, that of ‘Portu Scalas’, is the oldest among the Pisan towers of Cagliari. It was built in 1293, a decade before the construction of the other towers in Castello district. The tower, with a quadrangular map and about 20metres high, named also ‘dello Sperone’, has a loophole to testify the ancient defensive function. It has become, over the centuries, part of San Michele Military Hospital; however, it still represent the entrance to the high part of Stampace.